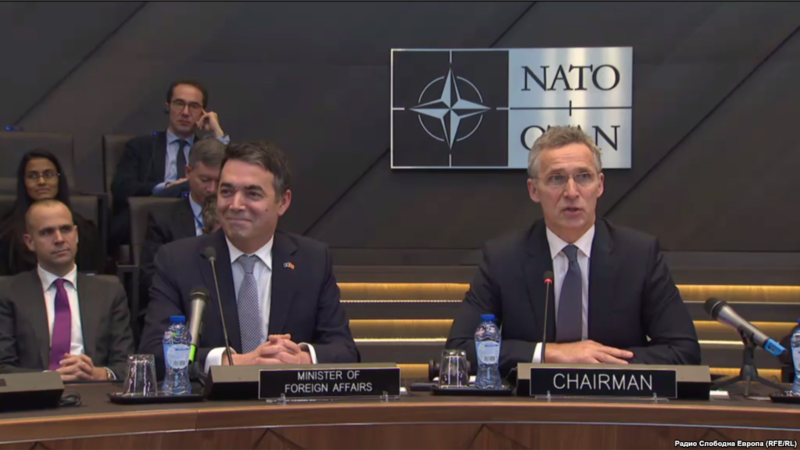 North Macedonia came one step closer toward joining NATO after allies signed the accession protocol today in Brussels. The country is expected to become the 30th member of the alliance once today’s protocol is ratified in parliaments of each NATO member country. The process is expected to take about one year. Greece blocked Macedonia’s accession to the EU and NATO for about three decades, claiming the country’s name implied territorial ambitions towards Greece’s own northern region with the same name. Last year both countries agreed on the new name “North Macedonia”, which was ratified by both parliaments. Later this week, Greece is expected to be the first NATO ally to ratify the accession protocol with North Macedonia, in a symbolic gesture showing the end of a decade-long dispute.